A beautiful addition to the Tales of Goldstone Wood, full of redemption and triumph. Eanrin, Chief Bard of Rudiobus, is on a quest: to venture forth into Faerie realms and rescue the beautiful Lady Gleamdren from the clutches of a dragon-witch. After all, she is his professed ladylove and destined to be the inspiration for his life's work - and at any rate, Eanrin knows a thing or two about quests. But Eanrin is also on the run, fleeing the Hound who has pursued him all through the years of the bard's immortal life. When Eanrin strays from his own better sense in order to rescue the maid Starflower from an enchanted sleep, he knows his life will never be the same - and that the Hound is close on his heels. Pursued by a curse and by the Hound, will Eanrin's path and Starflower's lead them to their deaths? All characters, Faerie or mortal, are of fallen human nature, displayed in various ways. Self-love is contrasted with true love and pride with humility, and the tenebrism is clear, but the struggles of each character are realistically complex. A character is called upon to be an instrument of death, and her decision plays a key role later in the novel. "Starflower" is not as clearly "an allegory" as "Heartless," but the allegorical significance of many of its elements is clear. The Christ-figure, pictured in most of the other novels as the Prince of Farthestshore, appears here as the pursuing Hound; the author drew inspiration from Francis Thompson's poem "The Hound of Heaven," and uses the same word pictures beautifully throughout the novel. This is by no means, however, the only theme. The parallel between the true name of a creature and its true nature; the conflict between man's fallen nature and the nature he was intended to have; and the setting oneself up as a god and denying the lordship of Christ all play their part in the allegory of Starflower. Eanrin and most of the other characters are fey-folk and thus immortal. The landscape of the Tales remains the same: a layering of the Near World, Far World, and Netherworld, and the Wood Between. Time and Space are not important in the Far World and the Netherworld, and on the Faerie Paths that crisscross these lands. The Tales of Goldstone Wood are fairytales in the vein of Grimm fairytales, not Disney, and there is a stark contrast of darkness and light. The worship of a Beast plays a major role, and is full of an aura of death and terror; sacrifices, animal and human, to the Beast are mentioned and witnessed. The terrible history of the Dragonwitch is recounted in part, and the destruction she brought on her own city, reducing it to rubble and flames, is seen. The Black Dogs, seen in previous books, play a larger part in this one; when set on a person's trail, they will hound him to death. All of these elements are stark and fearful, so one should not read the book expecting a lighthearted jaunt of a quest; there are, however, splashes of humor to brighten the dark. The River in the Wood Between takes a liking to Starflower and tries to pull her in. A Beast takes maidens as sacrifices, and it is implied that he seeks more than their blood. Nothing is explicit. Characters swear by dragons - dragon's teeth, dragon's tail, and so on - as well as by the Faerie King Iubdan and by Hymlume. 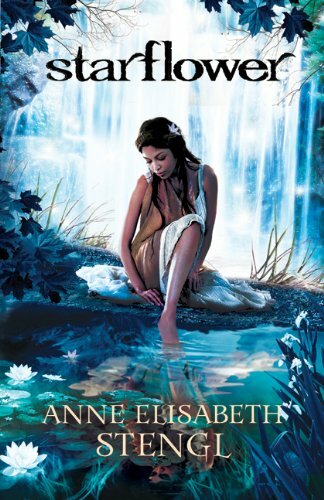 "Starflower" takes place 1,600 years before "Heartless" and the other two Tales, but it illuminates the characters of many of those who appear in those novels - especially Bard Eanrin and Maid Starflower. They stand out more clearly, complex of personality and history, and it is a delight to see them better. As with the other works in the series, allegorical truths play, not just an important role, but a necessary part in the plot - there would be no story without those themes mentioned in the Spiritual Content. They are beautiful, thought-provoking, and triumphant, and they are what make these novels stand out in the genre of fantasy. Note: Squeaky Clean Reviews received this free review copy from the publisher, Bethany House, in exchange for an honest review.